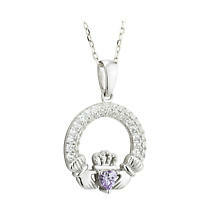 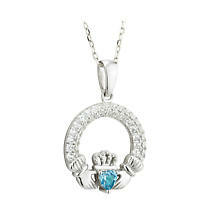 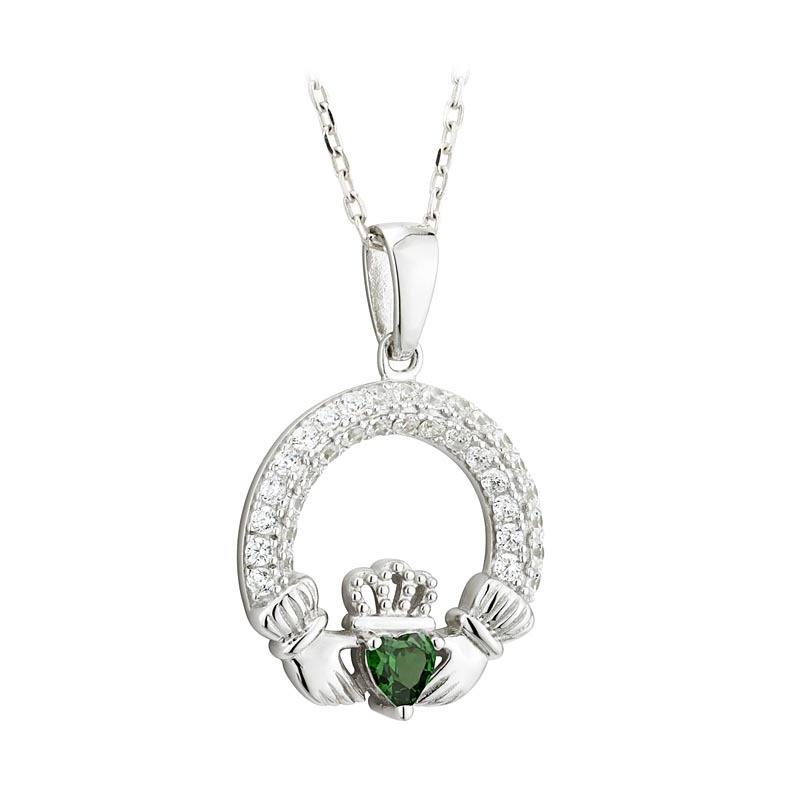 An Irish necklace with a personal touch. 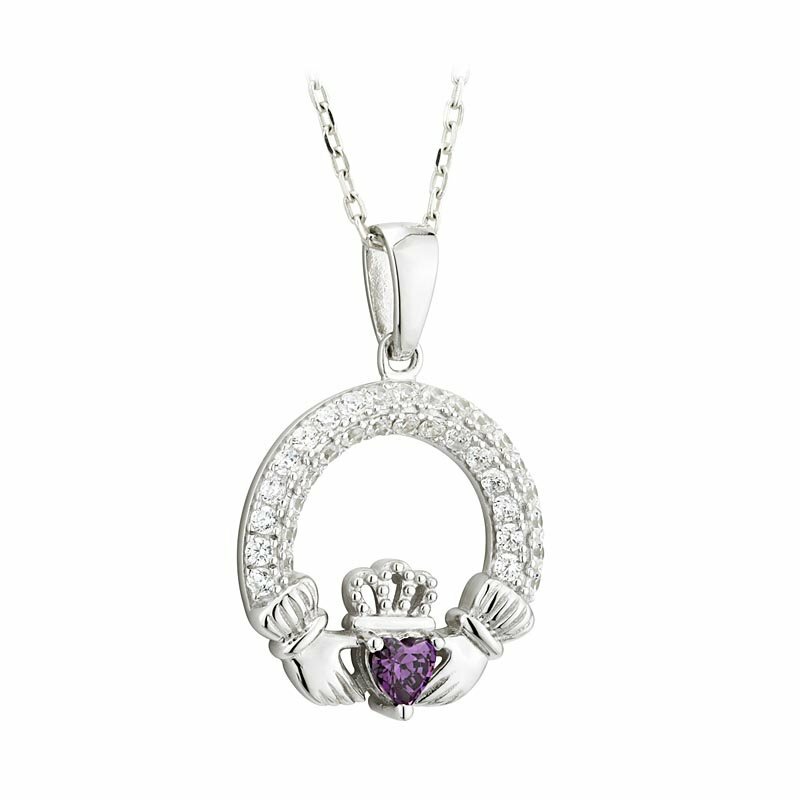 This Sterling Silver Claddagh Pendant features the Irish birthstone color of your choice at its heart surrounded by a halo of sparkling crystals. This superb necklace by Solvar Jewelry of Dublin Ireland makes an ideal gift for a special occasion and works with every look. The Claddagh is an iconic Irish symbol which stands for Love (Heart), Loyalty (Crown) & Friendship (Hands). Sterling Silver hallmarked by the Assay Office at Dublin Castle. Comes on an 18 inch chain in a presentation gift box. Measures approx. 0.8 inch tall and wide.